As many of your may have noticed, it is October. And with that comes cool weather, beautifully colored landscapes, warm apple cider...and Breast Cancer Awareness month! I spent a lot of time trying to find a good charity to give back to this month. And then God laid it in front of me to help to find a cure for breast cancer! It seems that everyone has been effected, or atleast knows someone who has been effected by cancer. So for all those of you who have dealt with this, my prayers go out to you. I hope that this week's painting will help to give you the hope and peace you need to keep pushing forward. I would encourage you to send this to someone who may need a pick-me-up, or a little hope to keep on living! Just a reminder that no matter how rocky your journey seems, God is with you the whole way, and in only an amazing way that He could plan, there is a special purpose lying for you down the road. 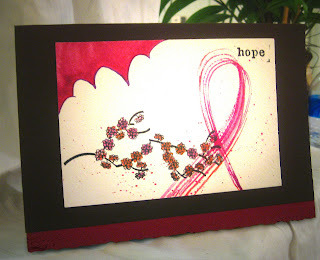 Each hand painted card is only $15.00 and $5 of that will be donated directly back to charity to help fight breast cancer. For those confusing legal reasons, I am not allowed to mention the charity's name but they are extremely well known and the initials are SGK. Trust me, your donation will be going towards a good cause. Please consider getting one and sending someone a smile in this new fall season! 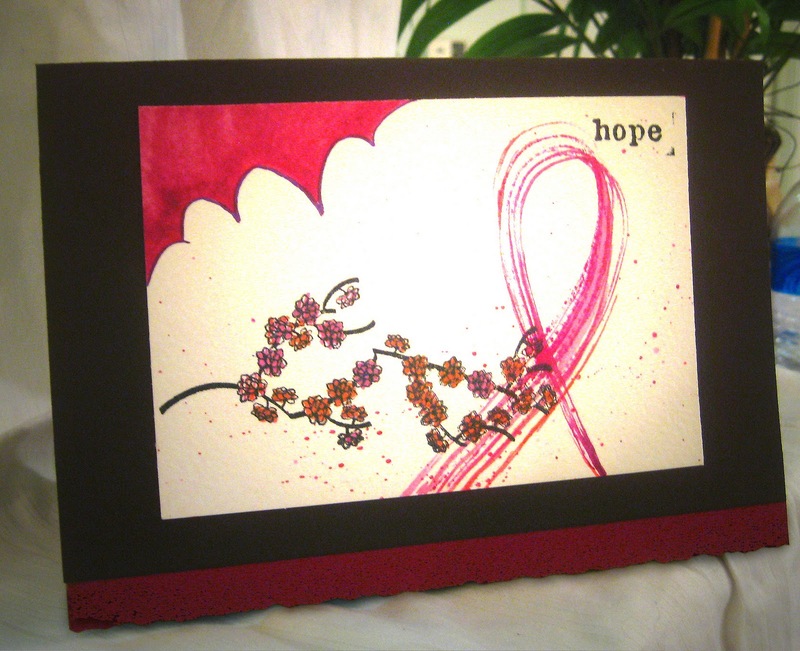 Click here to get your "A Shade of Hope" painting for Breast Cancer.